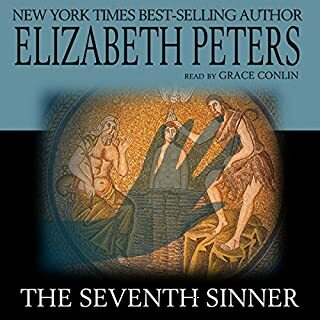 Why You Should Download This Audiobook: An Elizabeth Peters mystery is like opening a jewelry box belonging to a famous, well-traveled aunt. Aglow among riches, you marvel at stories she tells you about each piece, where it came from, who made it. These stories transport you to another time and place, and you sit listening with rapt attention. Elizabeth Peters has the same effect on her fans. With a stroke of her pen, she transports you to Egypt at the time of Howard Carter: a vast, exotic landscape filled with archaeologists hot on the trail of antiquites. Several our our nonfiction loving editors welcomed this novel as a change of pace from standard fare; it pays to travel every once in a while. The Peabody-Emerson family has set sail for Egypt and the 1907 archaeological season. But a mint-condition papyrus of the Book of the Dead falls into their hands, and the prospects for the 1907 archaeological season turn deadly. This captivating best seller showcases the talent that caused the Mystery Writers of America to name Elizabeth Peters a Grand Master. With Barbara Rosenblat's dazzling narration, you will find yourself held pleasurably in the balance of this exotic mystery. If one isn't familiar with the "Amelia Peabody" stories, then some plot elements might (per another review) seem irrelevant. But to those of us who love repeating characters, that is the true treasure of these books. The fact that they are mysteries about Victorian characters set in Egypt is significant, of course--because they're always dashing good mysteries! But the mysteries are rarely any more important than the interactions of Amelia Peabody Emerson (a wonderful example of a strong but human woman), her gruff but adored husband, her amazingly resilient if quiet-natured son nicknamed Ramses, and her adopted daughter Nefret--not to mention all the other wonderful repeating characters who await their return to Egypt each year. My mother loved these books, and I resisted them for a long time, but now I am an absolute fan, and buy the new one the moment it comes out each spring. 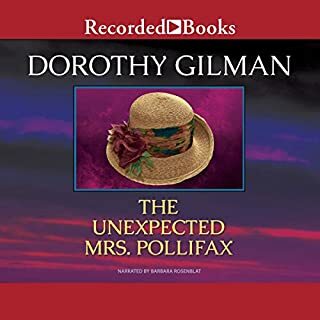 If you like the time period and setting, if you enjoy delightful narration (both from the author and from the reader, Barbara Rosenblat), or if you enjoy finding a fictional family whom you'll want to revisit again and again, don't just try this book--try this series. There are a few authors whose books I buy immediately without even reading the cover. And fewer who I will pre-order based on name alone. 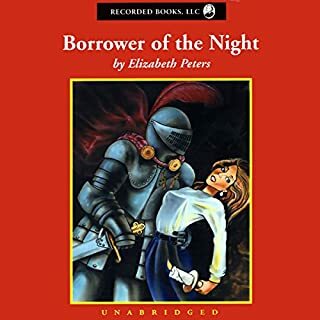 Elizabeth Peters is one of those authors. Her books are readable and of the best "who dunit" tradition. As for Ms Rosenblat...to call her the best reader I have ever heard falls short of the mark. She is wonderful. Once you listen to her you cannot be satisfied with other duller, uni-dimensional narrators. another terrific book from E. Peters. I continue to be hooked on B. Rosenblat's narration and can't listen to another! I have tried to establish a pattern of not giving 5 stars except for extraordinary and exceptional books and I have generally given 4 stars to the books in the Amerlia Peabody series. However I have to give this book a 5 for two reasons. It is very well written and has a good plot. More importantly, this series is so extraordinarily entertaining and addictive that it deserves 5 stars. I am totally hooked. 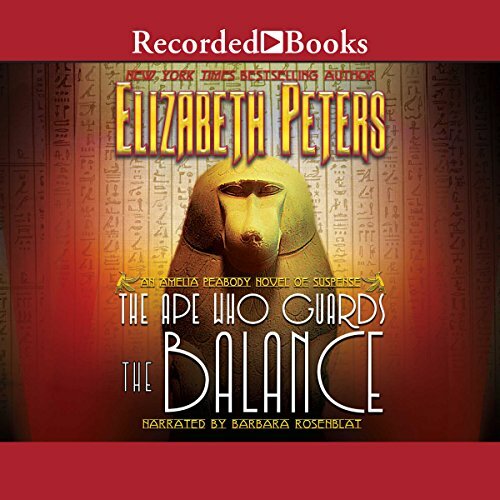 As soon as I finished The Ape Who Guards the Balance, I immediately ordered the next two audio books (books 11 and 12). Since 13, 14, and 15 aren't available in audio, I immediately ordered them in paperback from Amazon. I am going to start listening to book 11 tomorrow morning. These characters are like family to me. I want to dress up and go to dinner with them. I want to sit on the bed with Nefret and pet her cat. I love them all. I am particularly engrossed with the story line for the grown up Ramses and grown up Nefti. They are so perfect for each other but Ramses just doesn't have the social skills or maturity or confidence to let her know he loves her and I don't think Nefret knows that she loves Ramses - yet. That's the main reason I am addicted. I just have to go through this situation with them. Sethos is back in this book along with many other regulars. David finds love. The Emersons solve a mystery. The are deaths of villians and a death that made me sad. The cats and horses are all doing well, even if the cat Horace is a bit peculiar. The narrator is absolutely awesome. She gives the characters their wonderful personalities. 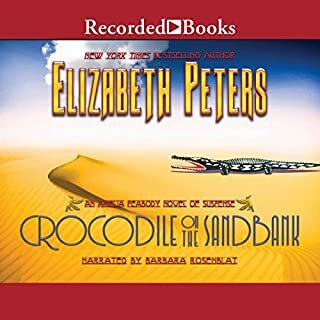 Elizabeth Peters is a talented author and she is lucky she team up with Barbara Rosenblat for this series. Together they have created magic! Frankly, one would assume that Peters' storytelling would wane on occasion, but no. She crafts her stories with finesse, wry humor. Though I hold out for the next time she will describe her husband's 'sapphirine' eyes... a term too oft used, I am reaching for just anything that rubs me. 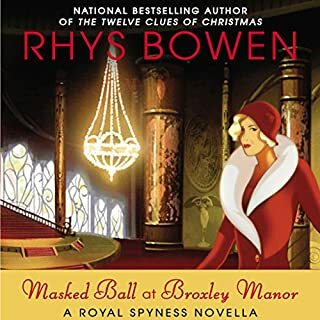 I cannot really complain, the story as always is engrossing, the family web and intricate emotional subplot as Ramses and his closest friends try to decipher the secret life of Amelia. I really think the narrative device Ms. Peters starts to employ (the newly found texts - 'Manuscript H' written by other members of the family) so as to present other perspectives is truly well done. The first author I have followed from book to book. A must read series and The Ape Who Guards the Balance, one of my favorite of the lot; provided you are listening to Rosenblat, of course, no disrespect to other narrators intended, but frankly, only Rosenblat can do all these personalities, accents and such. What a great continuing story of adventure, villains, love and friendships. Wonderful narrating adds to the experience of the characters and keeps you entertained the entire book. You will not be disappointed. Always a pleasure to visit the Emersons. A strong entry in the series. Highly entertaining. I am hooked on this series! who knew. It was written in the 1980s and I had never heard of any of the books. This is the 10th book in the series and it is like a visit to old friends each time I read one. There are parts that make me smile and this one even made me cry along with the characters as they said goodbye to a dear friend. Each one is a mix of manners and mystery, with a formidable main character and her family. It this book, Amelia and her daughter are wearing trousers now instead of dresses...finally. I have never been interested in Egyptology before, however, the way the author weaves it into the story is interesting. Rumor is that it is fairly accurate, too. Of course, the narrator is one of the best and anything she reads is like attending a performance. I am sure that makes the audio book much more fun than the printed one. You don't have to start at the beginning of the series to enjoy the books, they each sort of recap in the beginning, but it is fun being a part of this family's story and growing up with the children...as I mentioned, like a visit to old friends. I own and read and listened to multiple times every book of this series! It saddens me that some seem to be missing from audible! i don't understand why, I love this story and these characters and the narrator is perfect! Please bring the missing two books here too!!! This book, like all Mrs Peters books is amazing. 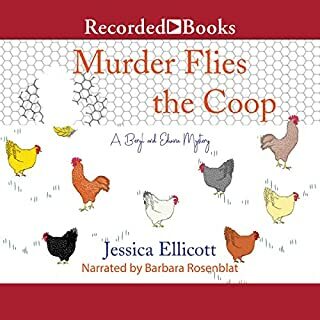 The Audible audiobook though wasn’t good in several parts. I listened to this book originally on CDs purchased from Recorded Books. It was perfect. Audible took that product and when they sliced it up for a digital product failed to leave sufficient pauses between several chapters. This allows the end audio of on chapter to run into the beginning of another chapter. In two instances the words of the ending chapter are cut off so completely that you can’t make out what they are. This is the first Audible book I have ever experienced this effect with. Hopefully it’s the last. Loved listening to a decisive thinker, happy family and relationship. Love these mysteries, full of history, myth, and logic. Interesting combination. Really transports you to a different time and place.